Reach Singapore at night time around 10pm and step into hotel around 11pm, where else to look for dinner? 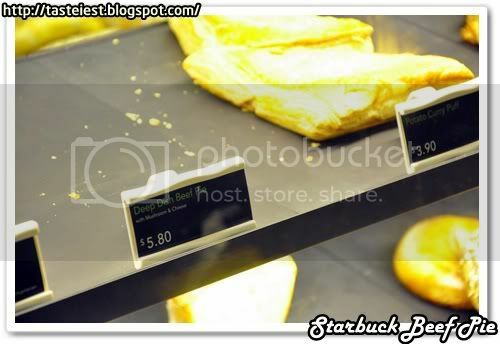 We left with two choice, either McDonald or Starbuck since we are bore with McDonald so we choose Starbuck and we saw interesting food here, Beef Pie. Which is the last pieces left on the shelves as well. The last pieces taken by us. 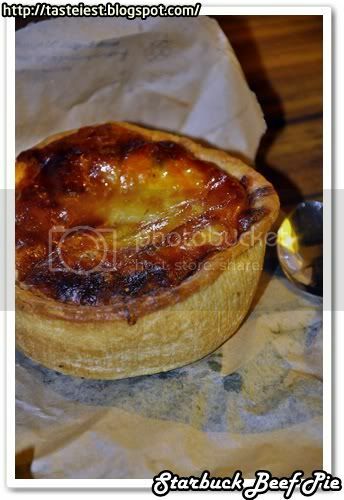 Beef Pie SGD5.80, how come it look like Portuguese tart? Just the size is bigger. By cutting it we can smell strong cheese aroma. 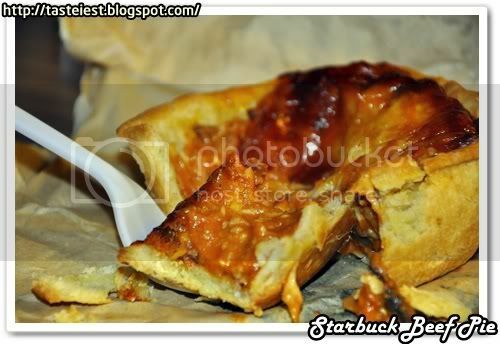 That is why it look like Portuguese tart because it has a layer of cheese on top. 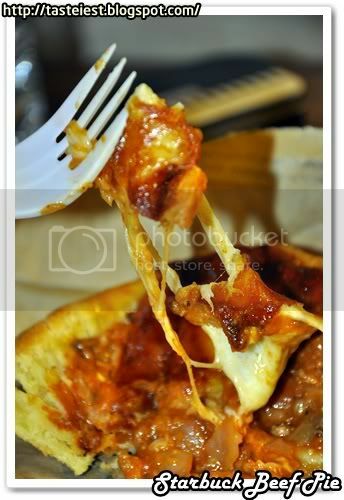 See how we pulling out the cheese and inside the pie has some beef cube and mushroom. 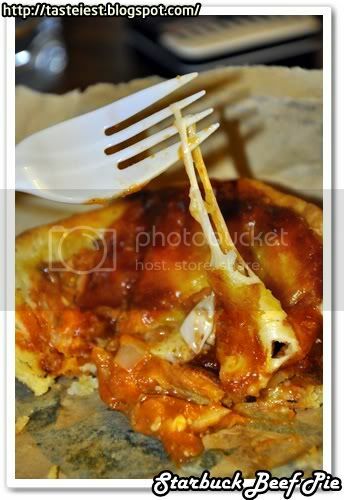 It has mild curry flavor but strong cheese flavor, taste really good but too fat for supper. Who care since we are so hungry, we must eat something. Well, even though it taste good but we will be much more appreciate if the more beef in it.